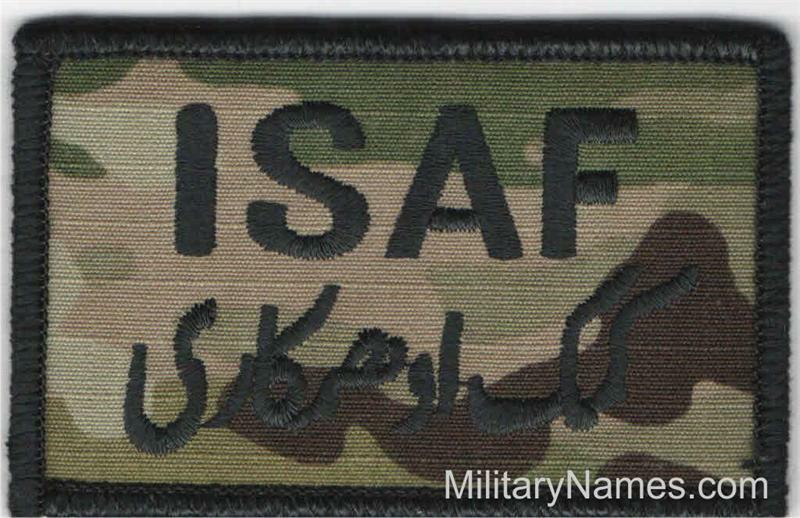 OCP ISAF Patches with Hook Fasteners Black Border Military Name Tapes & Rank Insignia. Leather Flight Badges for all Branches of Service. Embroidered OCP ISAF with Hook Fastener for the OCP Uniforms BLACK Border.